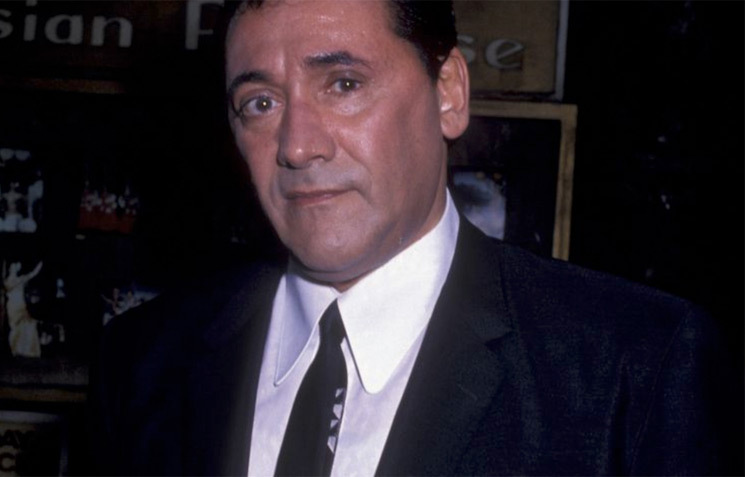 Frank Adonis — the actor best known for his role in Martin Scorsese's 1990 film Goodfellas — has died. Adonis was 83. The actor's wife confirmed the news to TMZ today, revealing Adonis passed away on Wednesday (December 26) in Las Vegas after battling various health issues, including kidney problems. He had reportedly been undergoing dialysis and had been put on a ventilator for the last several days, with his family waiting until after Christmas to take him off the device. "He will be missed. He was a great father and an amazing husband," his wife, Denise, told TMZ. "He helped all his friends he could. Great writer, director and actor. He was my best friend." Adonis nabbed more than 40 acting credits during his career. In addition to playing real-life mobster Anthony Stabile in Goodfellas, Adonis appeared in such films as Raging Bull, Casino, Wall Street, True Romance and Ace Ventura: Pet Detective. Along with the actor's various film work, he also appeared in such TV series as The Sopranos and Law & Order: Criminal Intent. Adonis is survived by his wife and two children.